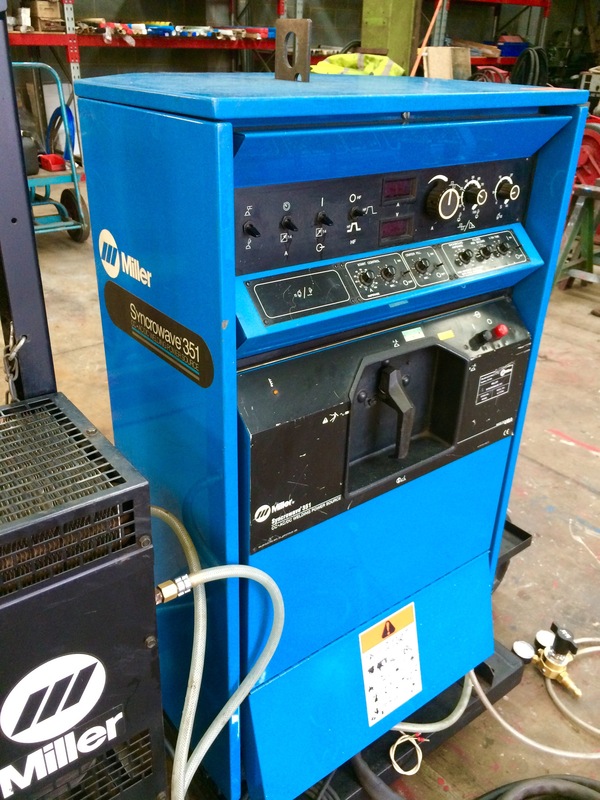 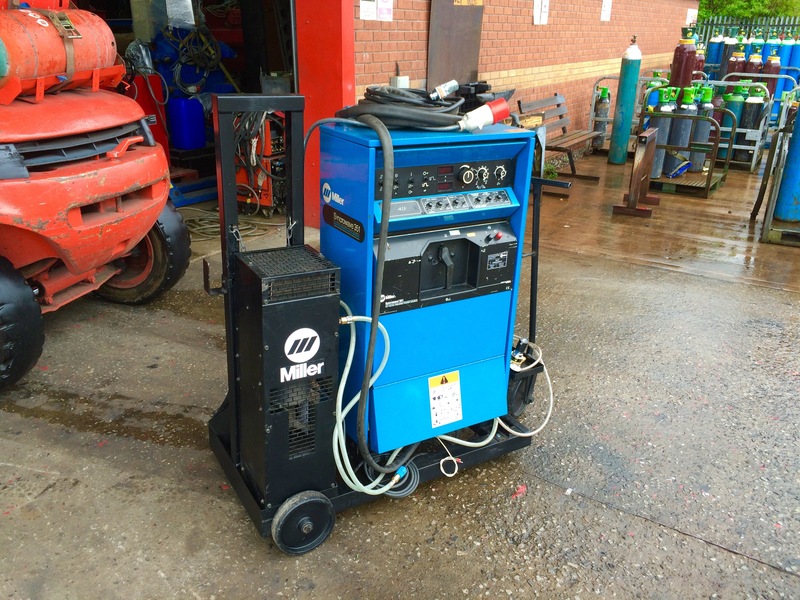 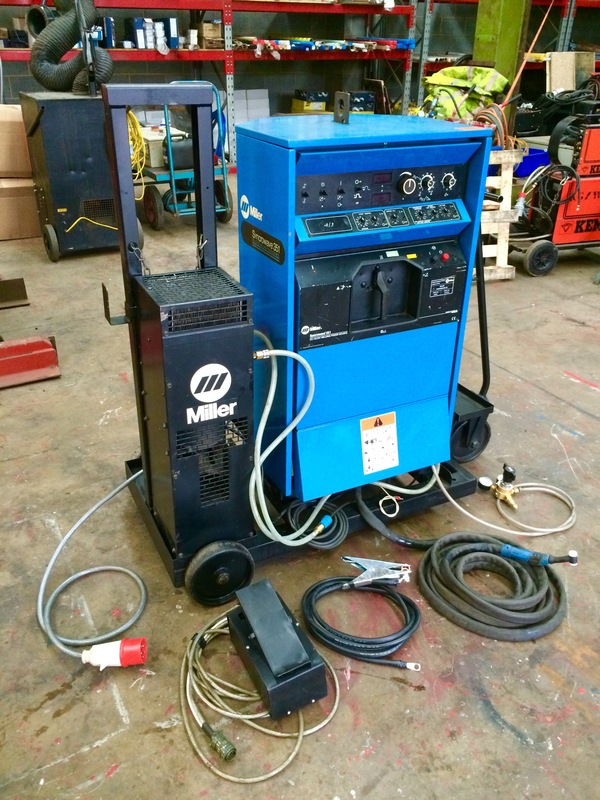 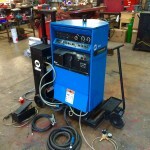 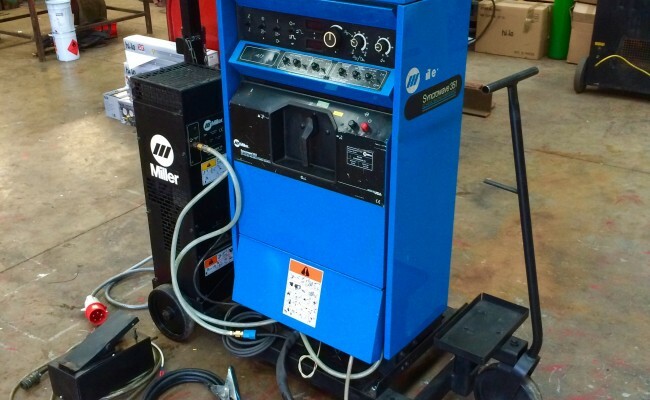 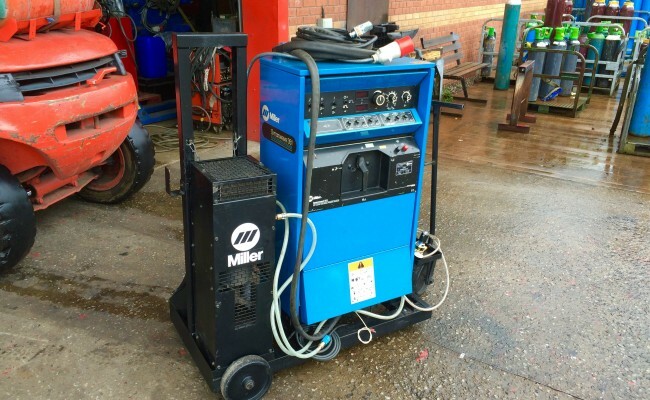 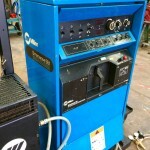 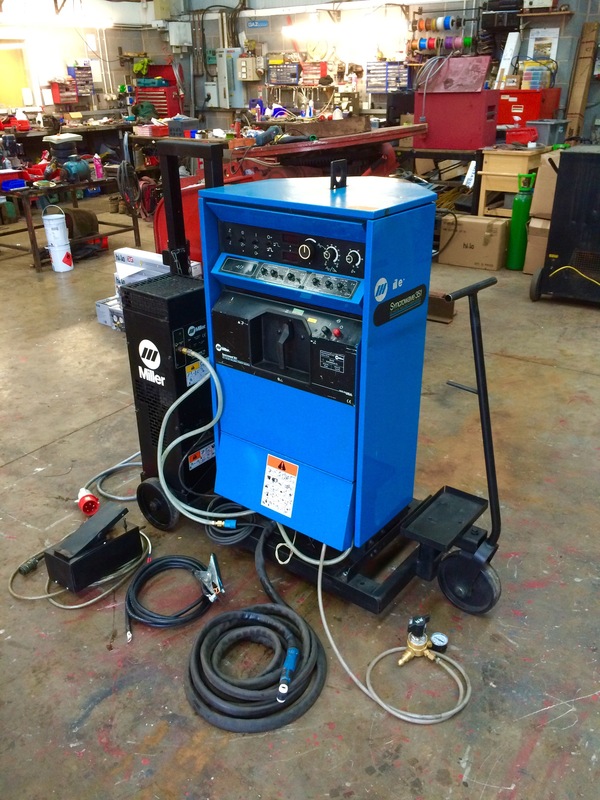 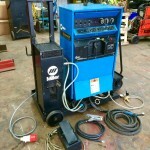 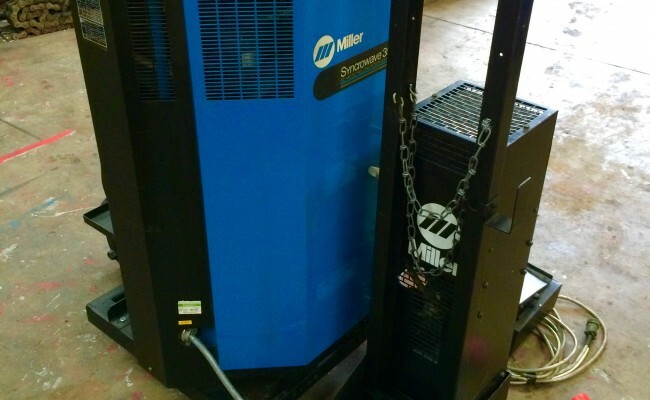 The Miller Syncrowave machines are brilliant, and we like these tower TIG welders very much. 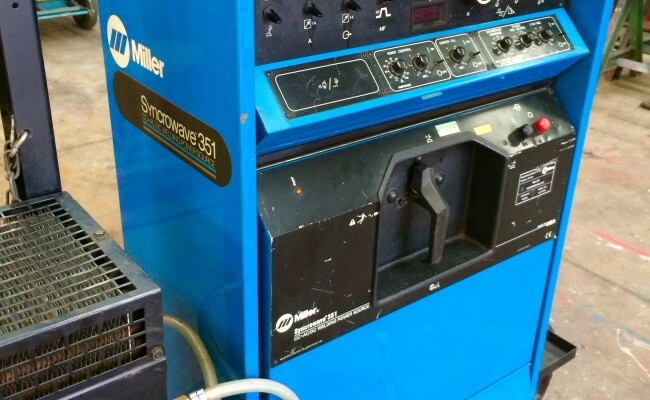 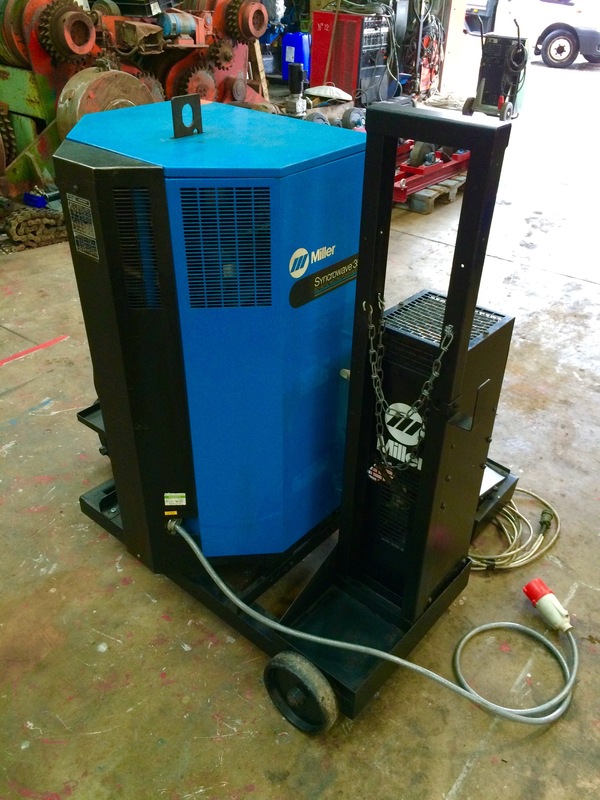 'The Power of Blue' Syncrowave 300, 351, 375 and 500 models we have in stock (this 351 in the photos below is our last 351) are designed to be situated in a workshop where it won't be moved around because of their larger heavy duty design, with the option to have us here at Spectrum Welding Supplies Ltd fabricate you a portable trolley on wheels. 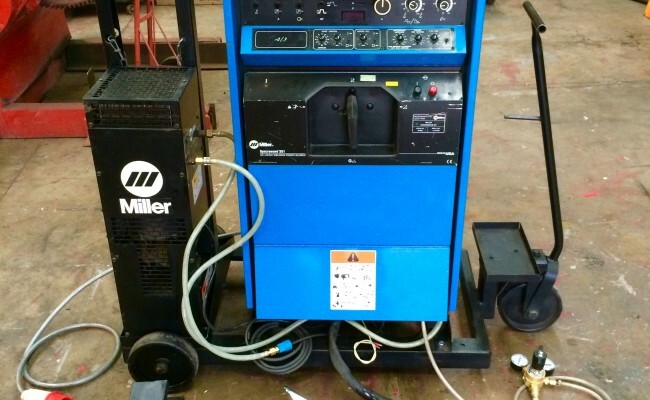 The Miller Syncrowave 351 AC/DC Digital Water Cooled TIG Welding Machine is capable of 400 amps @ 40% duty cycle and can also comes with a foot pedal for accurate and intrigue sloping in/out, as this 351 model allows you set set a maximum amperage when on foot pedal mode. 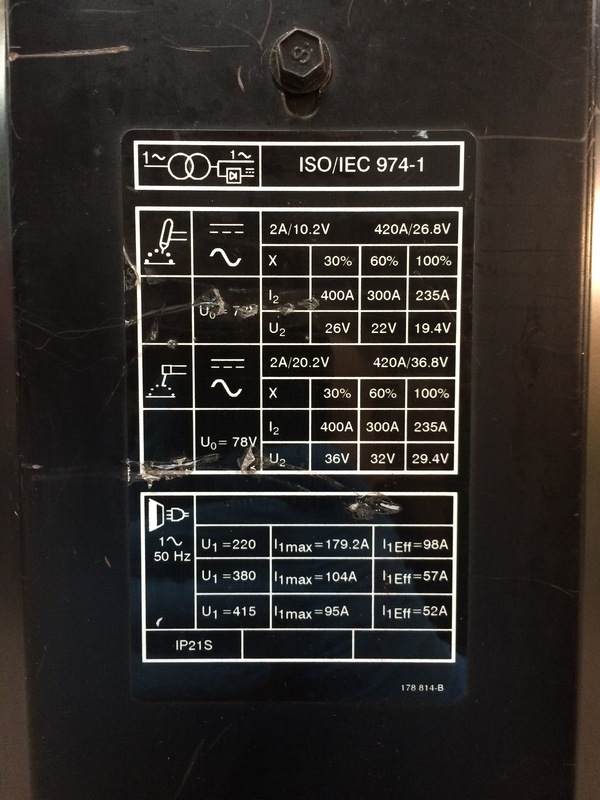 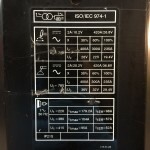 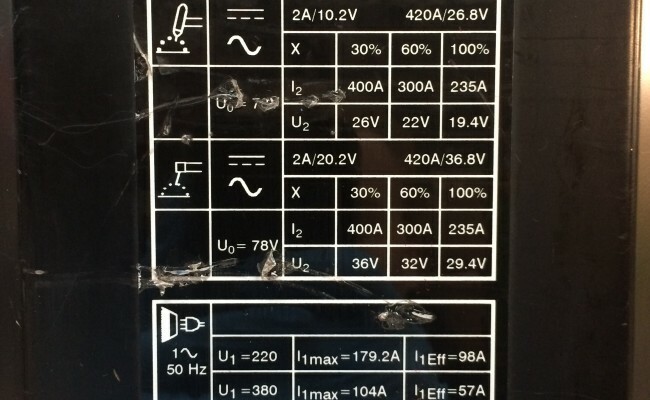 This means when the foot pedal is fully pressed down it will stay at your desired amperage level. 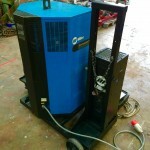 This is so you don't have to worry about your foot 'wobbling' and altering the power. 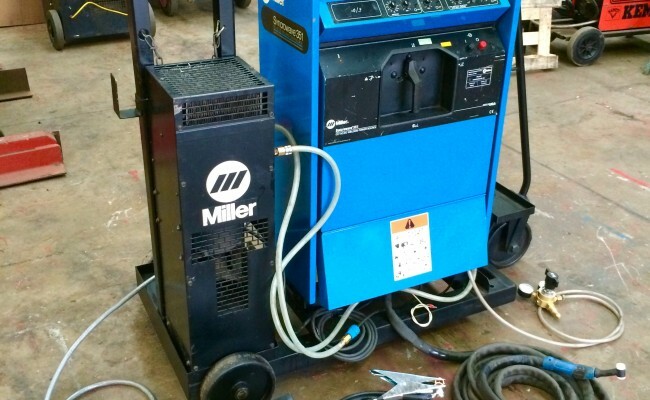 I think this is quite a clever idea by Miller. 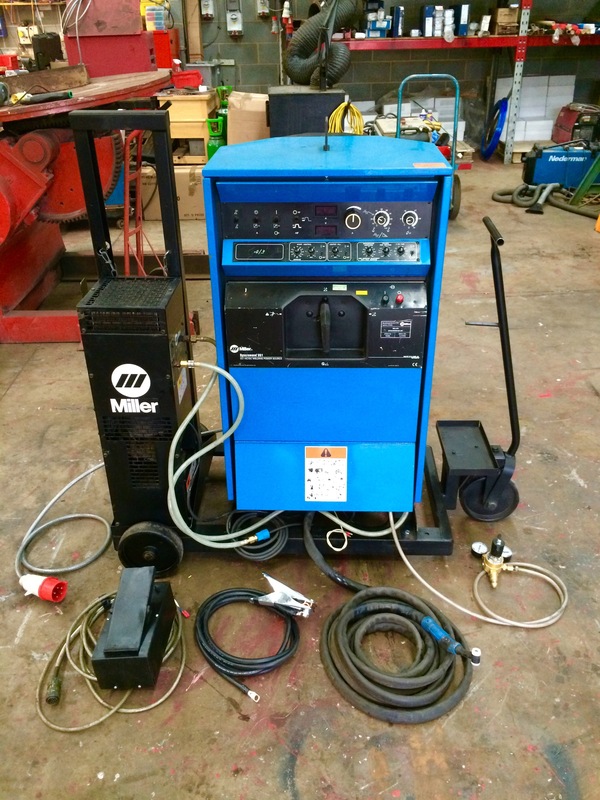 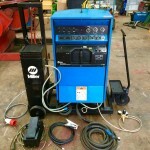 Our water cooled TIG package deal consists of everything you see in the photos including a 4 or 8 meter WP-18 Flexi water cooled TIG torch, 5 meter heavy duty earth lead, argon hose, argon regulator and 6 months warranty on discounted ex-hire fleet machines.